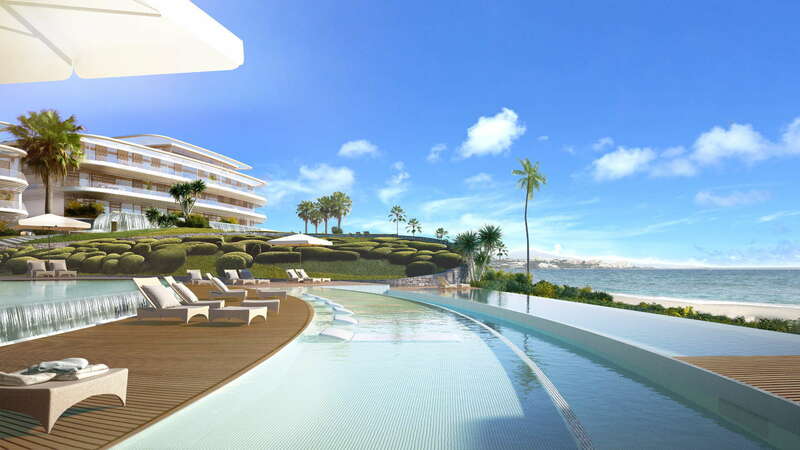 The Edge a truly spectacular modern frontline beach development of apartments, penthouses as well as 2 unique villas of an extraordinary contemporary design in Estepona. 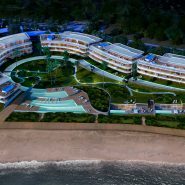 The buildings have a simple but special curved form to expressing to perfection the exclusive location: The edge of the sea. 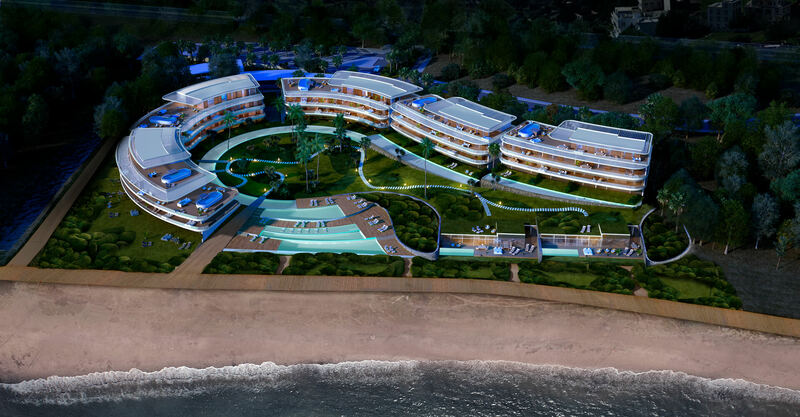 A curved design like a wave, the layout of the apartments, the terraces and fabric awnings all reflect luxury beachside living. 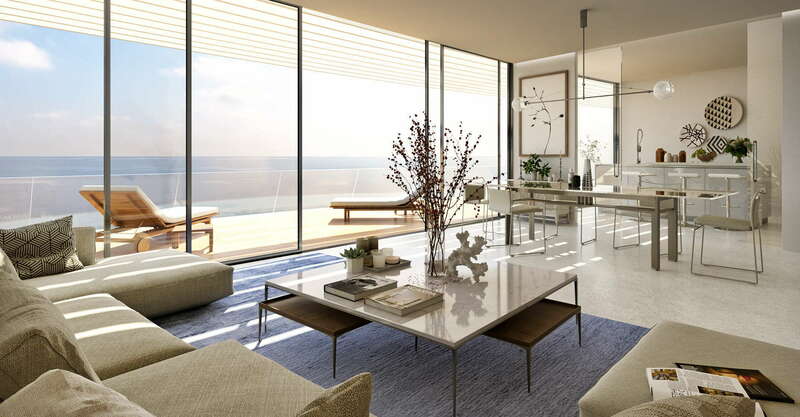 Large glass windows give a constant reference to the Mediterranean; natural light, sea, the beach and distant horizon add to the spectacular views. 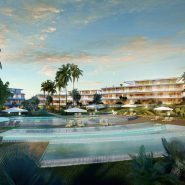 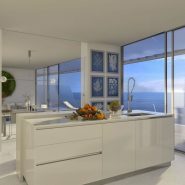 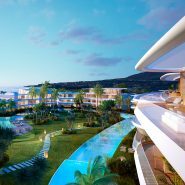 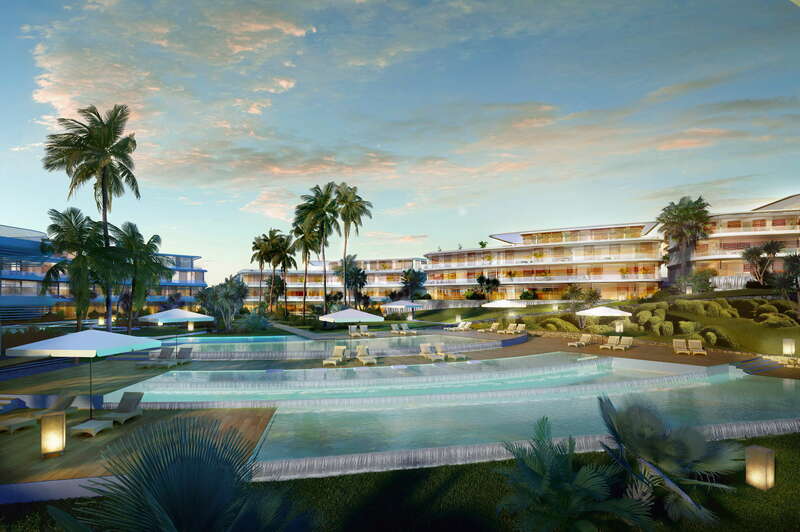 Built to the finest specifications with exceptional quality in materials and finishes creating a luxury high-end development in a unique beachfront location on the Costa del Sol. 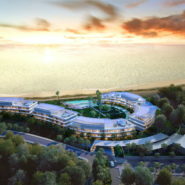 No cars will be seen the surface, they are always underground and will not interrupt the eco environment and connection with the sea. 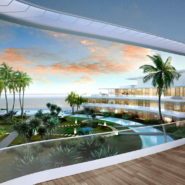 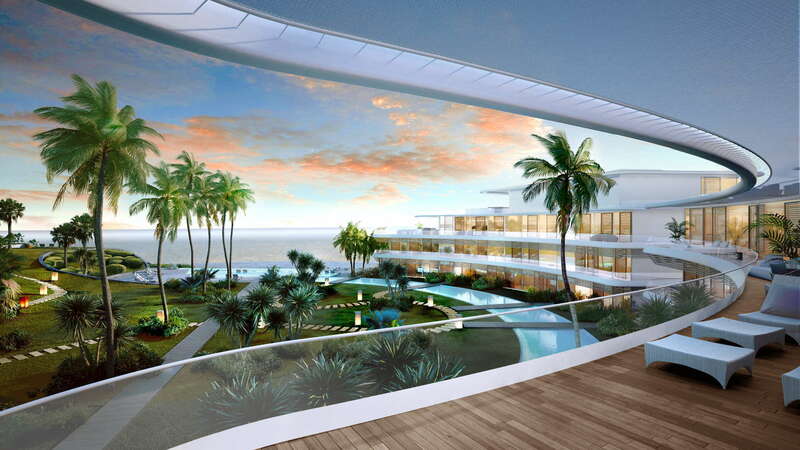 The Edge will offer its residents stunning landscaping, three infinity swimming pools, a spa with gym area, paddle tennis courts and direct beach access, all with 24hour security. 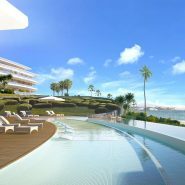 The apartments have different distributions 2, 3 and 4 bedrooms, with large terraces and an abundance of natural light coming into the rooms. 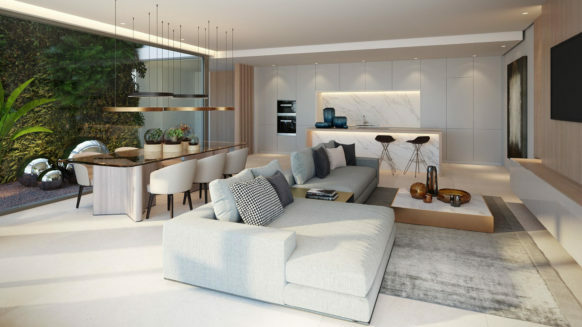 Ground floor apartments benefit from their own private garden. 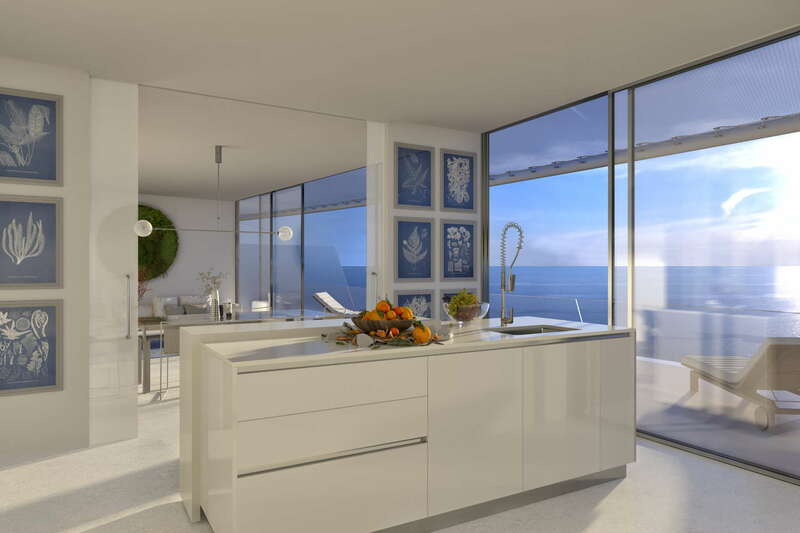 The penthouses with either 3 or 4 bedrooms have a large terrace with their own pool and privileged views to the sea and African coastline. 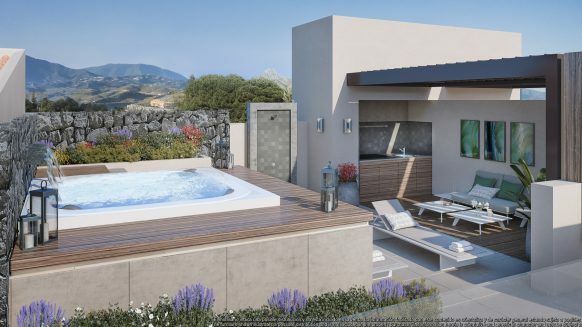 The Edge villas are 2 unique houses of two heights offering 4 or 5 bedrooms. 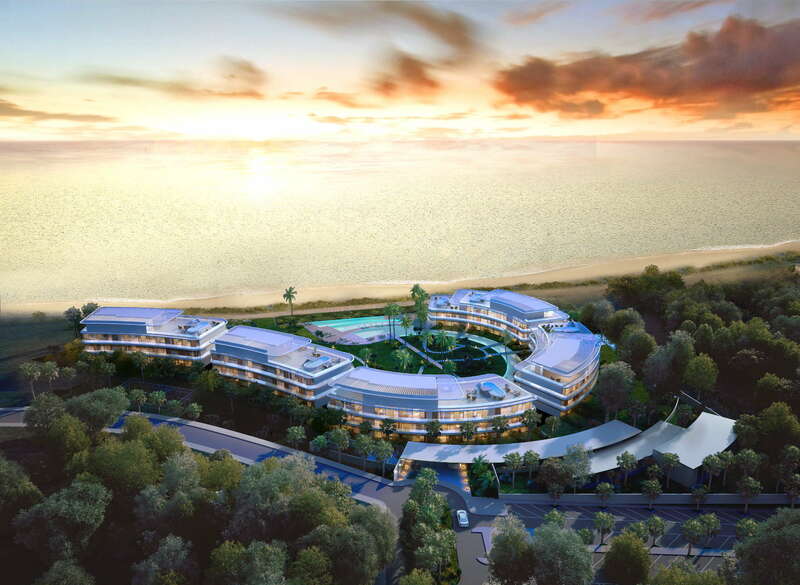 Built frontline to the beach edge the homes are totally independent and have their own private garage. 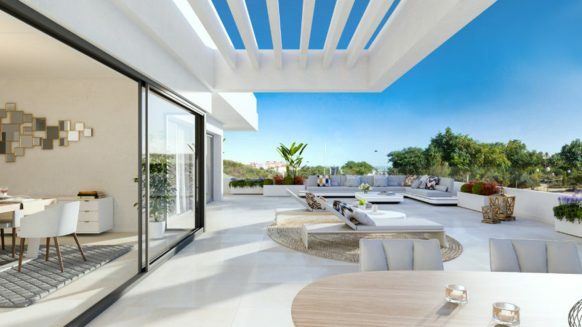 These villas have not been released yet but are available for off-plan reservation through Realista. 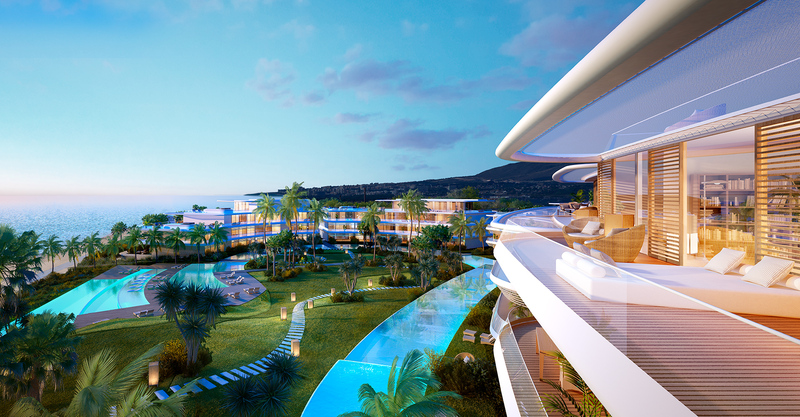 If you would like to know more about this new released project The Edge, please contact us and we will be pleased to help.